Title: PowerPivot: Usage data is not getting updated at the expected frequency. The PowerPivot Management Data.xlsx file is not being updated. This workbook stores internal data used by the PowerPivot Management Dashboard. The current file for PowerPivot service application <0> was last updated 5 day(s) ago. 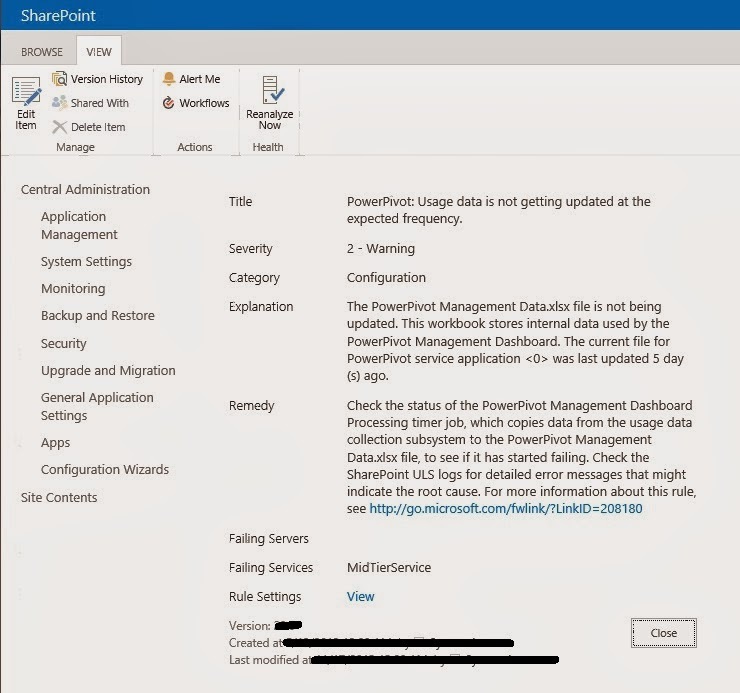 1) Check under what account the PowerPivotUnattendedAccount is running.